THE search for downed Lion Air flight JT610 has suffered an unexpected setback after the quest to recover the body of the aeroplane came up empty-handed. Experts believed they had finally discovered the fuselage, or main body of the aircraft, but instead, the 22-metre-long object detected on the sea floor turned out to be aircraft debris and passenger belongings. 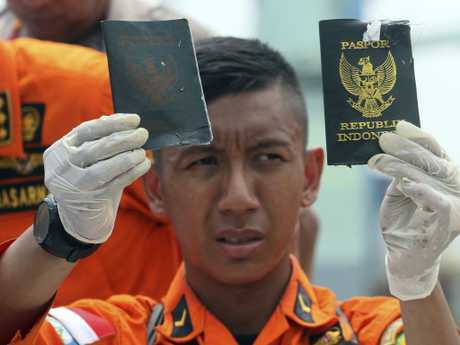 Muhammad Syaugi, head of Indonesia's Search and Rescue Agency, told reporters on Wednesday that the search effort was battling strong currents but they remained confident the aircraft hull would be found. 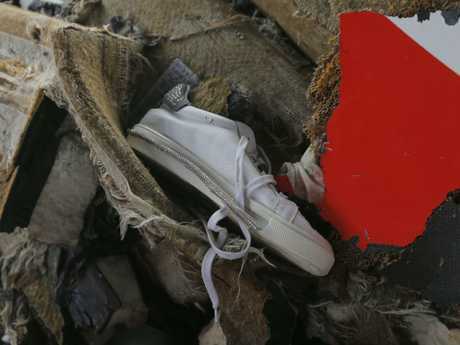 The discovery of the Boeing 737-MAX jet's main body would have been a breakthrough in solving the mystery as investigators were hoping it would lead them to flight data recorders, referred to colloquially as "black boxes". Pings, believed to be from the flight recorder due to their regular intervals, had been detected earlier but the strength of the currents has prevented the black box from being recovered. Data from flight-tracking sites show the plane had erratic speed and altitude in the early minutes of a previous flight on Sunday and on its fatal flight on Monday. A CRITICAL piece of the puzzle may have been discovered in the search for the crashed Lion Air jet which has baffled aviation experts. 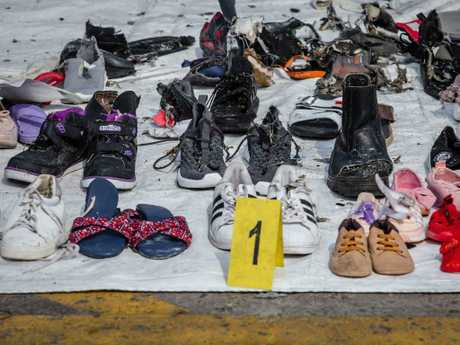 The smashed fuselage, or body of the aeroplane, may have been found, a top military commander has announced, as experts carry out the grim task of identifying dozens of body parts recovered from a 15-nautical mile-wide search area. "This morning I've been briefed by the head of Search and Rescue Agency about the strong possibility of the location coordinates" of flight JT610, said armed forces chief Hadi Tjahjanto. "Hopefully that is the main body of the plane that we've been looking for." The 22-metre-long object is at a depth of 32 metres. He said divers will be deployed after side-scan sonar has produced more detailed images. Investigators are hoping that the discovery of the Boeing 737-MAX jet's main body might be able to lead them to flight data recorders, referred to colloquially as "black boxes", crucial to crash investigations. 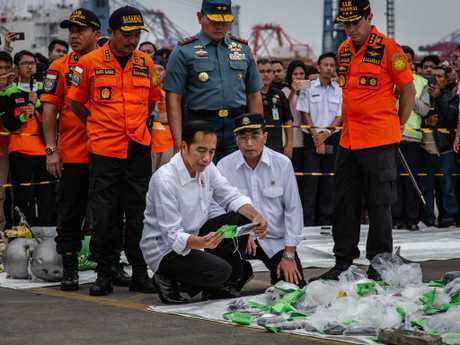 The head of the National Transportation Safety Committee, Soerjanto Tjahjono, also told reporters that pings detected by search teams are most likely from the aircraft's flight recorder because of their regular interval. Data from flight-tracking sites show the plane had erratic speed and altitude in the early minutes of a previous flight on Sunday and on its fatal flight Monday. Safety experts caution, however, that the data must be checked for accuracy against the plane's black boxes. Lion Air has said maintenance was carried out on the aircraft after the problematic Sunday flight and a problem, which it didn't specify, was fixed. 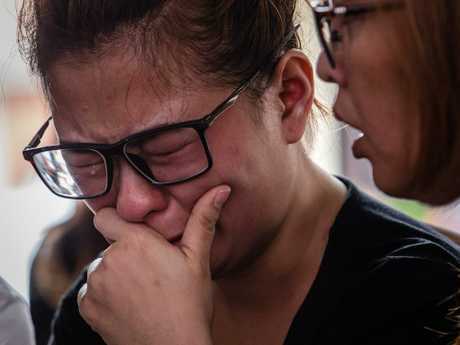 Two passengers on the Sunday Bali-bound flight interviewed on Indonesian TV recalled unsettling details such as a strange engine sound, a smell of burnt cables, and panicked passengers crying out for God to save them as the plane rapidly lost altitude. Later in the flight, a man who was either the captain or first officer walked through the plane and returned to the cockpit with what looked like a large manual. 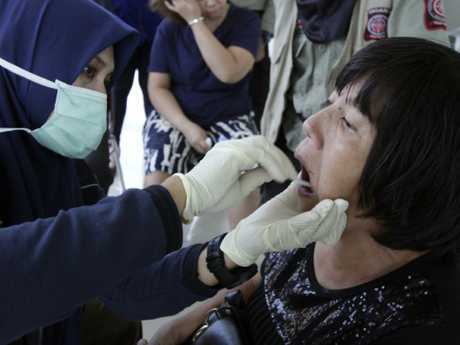 The downed plane, which went into service just a few months ago, was en route to Pangkal Pinang city when it plunged into the Java Sea off Indonesia's northern coast 12 minutes after takeoff, killing all 189 on board. On Wednesday, Indonesia's transport minister took the unusual step of ordering the removal of Lion Air's technical director and several other staff, citing government authority over the aviation sector. "Today we will remove Lion's technical director from his duties to be replaced by someone else, as well as technical staff" who cleared the flight to depart, Budi Karya Sumadi told reporters. Aviation experts say it is too early to determine what caused the accident but Lion's admission that the plane had an unspecified technical issue on a previous flight - as well as the plane's abrupt nosedive just 12 minutes after takeoff - have raised questions about whether it had any faults specific to the newly released model, including a speed-and-altitude system malfunction. The deadly crash has also resurrected concerns about Indonesia's patchy air safety record which led to a now-lifted ban on its planes entering US and European airspace. 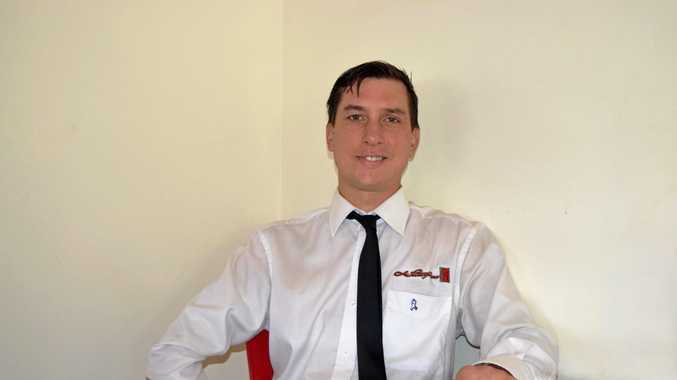 Lion's co-founder Rusdi Kirana, now Indonesia's ambassador to Malaysia, said in a 2015 interview that "my airline is the worst in the world, but you don't have a choice". 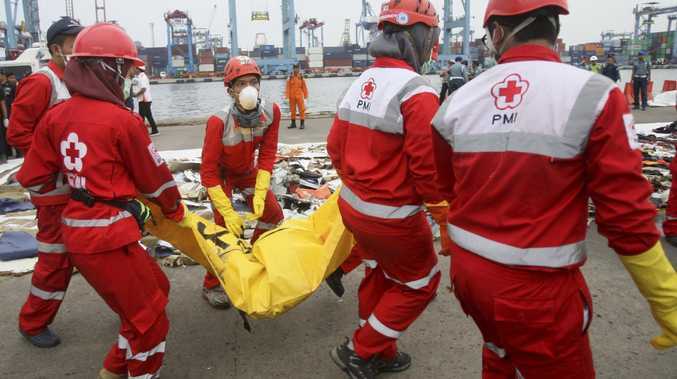 Lion was involved in a number of incidents including a fatal 2004 crash and a collision between two Lion Air planes at Jakarta's Soekarno-Hatta airport. Indonesia's biggest low-cost carrier announced this year it was buying 50 Boeing-737 MAX 10 jets for $6.24 billion. Boeing suspended release of the fuel-efficient 737 MAX just days before its first commercial delivery last year due to an engine issue. But the single-aisle jet was subsequently cleared for commercial delivery and has had thousands of orders from more than 100 customers worldwide. Boeing and the US National Transportation Safety Board (NTSB) are taking part in the probe. Search teams have been recovering personal effects and separating human remains from plane debris, sending the body parts - including from an infant - to hospital for DNA testing. "He was the best husband in the world," 33-year-old Ningsi Ayorbaba said of her partner Ferdinand Paul Ayorbaba, who was on the flight. "We had planned to celebrate our 15th anniversary in April … Today, I'm bringing in DNA samples." Some 49 body bags filled with limbs and other remains have so far been recovered, authorities said. The story went viral online and the pair were later identified as Ine Yunita Savitri and her husband Wahjoe Noegrohantoro, who was on the downed jet. Ms Savitri was not on the plane.